EstesGroup honored to be selected as Epicor Prophet 21 reselling partner. EstesGroup was selected as the Western United States Territory Partner for the Epicor® Prophet 21® distribution software solution. Partners are selected based on customer service, software expertise, and successful implementation of solutions to improve company business structures. Headquartered in beautiful Loveland Colorado, and established in 2004, EstesGroup employees averages 25+ years of discrete manufacturing and distribution industry experience which they leverage to ensure client success. Their employees are spread-out throughout the United States which maximizes talent and local presence for their clients. EstesGroup is a Prophet 21 and Epicor ERP 10 reseller, implementer, and hosting provider. They also sell and implement on-premise and cloud technology managed services depending on client needs and requirements throughout the United States. For more information, please visit www.estesgrp.com. For more information on Prophet 21, please visit Estes Group’s Prophet 21 page. Epicor Software Corporation drives business growth. We provide flexible, industry-specific software designed to fit the precise needs of our manufacturing, distribution, retail, and service industry customers. More than 45 years of experience with our customers’ unique business processes and operational requirements are built into every solution―in the cloud or on premises. With this deep understanding of your industry, Epicor solutions dramatically improve performance and profitability while easing complexity so you can focus on growth. 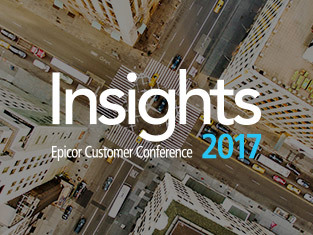 For more information, connect with Epicor or visit www.epicor.com. For a special gathering at Fuse Sports Bar. You could win an Amazon Alexa and a two our business process review from Ben Nixon. Join the fun as we talk Epicor and the issues you have in business. Check your E-Mail for some special information.